Communication Yearbook 37 continues the tradition of publishing state-of-the-discipline literature reviews and essays. 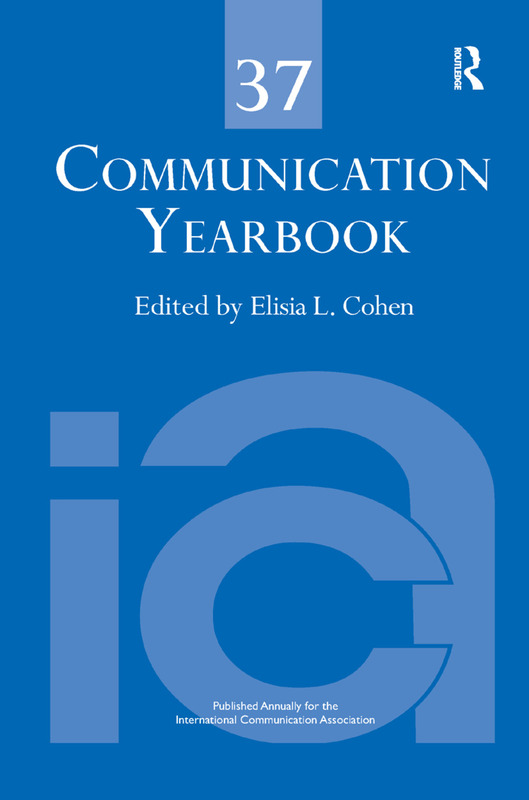 Editor Elisia Cohen presents a volume that is highly international and interdisciplinary in scope, with authors and chapters representing the broad global interests of the International Communication Association. The contents include summaries of communication research programs that represent the most innovative work currently. Offering a blend of chapters emphasizing timely disciplinary concerns and enduring theoretical questions, this volume will be valuable to scholars throughout communication studies.